Small sterling silver earring studs with scp foundation image, the silver is solid 925. 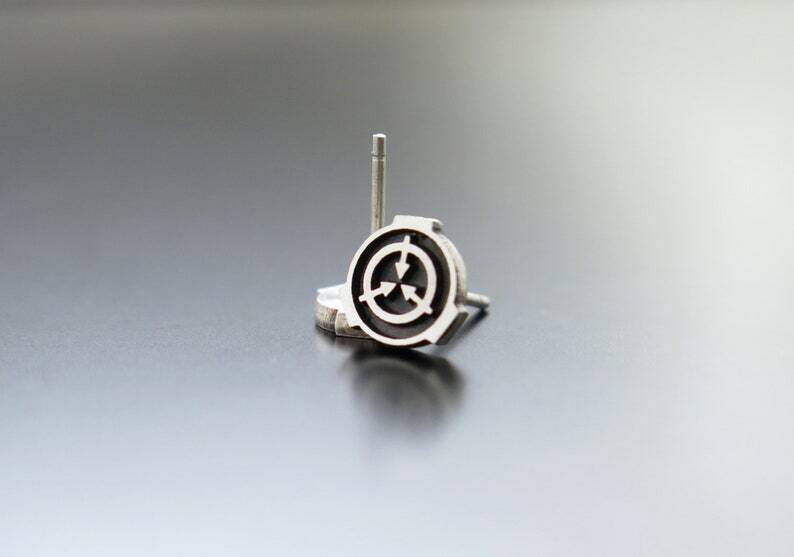 Tiny and special silver earring posts with scp foundation logo. 💝 This listing is for pair of studs. They look just like the photo. Love them. Thanks!